During the twelve days of Christmas, I’ve been recommending recordings of Christmas music. This is the twelfth and last “review,” and I realize that many readers have probably stopped listening to Christmas music by now. But you can still make notes for next year’s listening (and gift-buying). Several days ago, I discussed an album of music by Michael Praetorius and others, a recording that reconstructed what a Christmas-day service at a major church in central Germany around 1620 might have sounded like. Today I’ve got another recording by the Gabrieli Consort, conducted by Paul McCreesh. 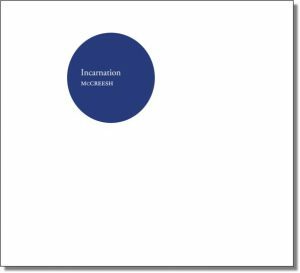 It’s called Incarnation, and the title of the album is a clue that the program of music included has more theological attentiveness than do many Christmas collections. The beautifully packaged CD includes a sturdy, bound booklet which contains texts and translations, information about the performers, and three large black-and-white photos of a newborn baby. There is also an interview with conductor Paul McCreesh in which he discusses each of the works in the album and his overarching concerns in assembling this collection. I understand that, for many, the traditional carols are an important part of the Christmas ritual. However, there is something quintessentially wonderful about the story of the Incarnation — verbum caro factum est, the son of God becoming man: it seems to me that the greatest Christmas music captures a sense of awe-struck wonder at this miracle. I find it frustrating that so much of the repertoire has moved away from the central truth of this message, often becoming saccharine and sentimental — all tinsel and glitter, and very little else. McCreesh explains that the opening track on the album — a setting of the fifteenth-century text Adam lay ybounden by Michael Martin (born in 1976) — was a last-minute addition to the program. If you’ve heard the King’s College, Cambridge Festival of Nine Lessons and Carols, you’ve probably heard a famous setting of this text by Boris Ord (1897-1961). Ord’s setting was first performed in 1918, at the very first Lessons and Carols service, when Ord was the organist at King’s College. Michael Martin’s setting was composed in 2006 and captures more fully the mysteriousness at the heart of the Incarnation. This album alternates between Christmas music from the twentieth and twenty-first centuries and music from the medieval period. The musical styles of those two eras have an affinity but they also have very different qualities, which McCreesh wanted to juxtapose. I’m always very concerned that these programmes should have a carefully designed shape and musical logic. The richness of 20th and 21st century English choral music, with its beautifully written polyphony and often richly astringent harmony, sometimes needs a “palette cleanser”. I’m not for a moment suggesting that the medieval music here — beautiful and worthwhile in its own right — only serves that function, but it does provide necessary relief before the next onslaught of glorious lush harmony. As I’ve suggested before, please disable shuffling if and when you listen to this album (and listen to the entire album). There is a very thoughtful logic present in the progression of works, and you’ll miss it if you ignore the sequence of works that McCreesh and his colleagues have thoughtfully devised. The king who rules forever. Sayers achieves a surprising emotional power and mystery by portraying the youngest king, the nearest to childhood, as the saddest, bringing a gift of myrrh which anticipates Christ’s passion and death; it is the oldest king, nearest to the grave, who brings golden toys. I have tried to catch this surprise in the music: the first two verses are simple and ballad like, while the third verse suddenly opens up like a treasure chest of twinkling gold. The final 29 minutes of this recording features a complete performance of A Boy Was Born by Benjamin Britten (1913-1976). The work was composed when Britten was only 19 and still a student at the Royal College of Music. It is not as well known as his later A Ceremony of Carols, and it deserves more attention. For this recording, the Gabrieli Consort was joined by the trebles of the Copenhagen Royal Chapel Choir. Here is the opening movement of A Boy Was Born. Summerly: So, let me review the record for you in advance. “Contrary, evangelical, but always sympathetic.” Are you happy with that? McCreesh: Well, maybe all three adjectives describe something of my personality and might not be entirely inappropriate, even on my tombstone! I think it is good to try to offer a different perspective and I believe that there should be a reason to commit more music to CD. Certainly, the music presented here is, of its kind, peerless, and it is for me to ensure that it is programmed and performed in a way that reflects, enhances and celebrates that. This is just one musician’s response to a most wonderful and profound story at the centre of the Christian tradition, one that has been at the heart of western culture for centuries. No more, no less.